Carcavelos: Nearest beach to Lisbon. This beach break is facing south and offers great conditions to professional surfers with thick and fast barrels. The beach is also awesome for surf lessons especially when the swell is big since the Carcavelos Beach is more protected. Guincho: Nearest beach to Cascais, with many dunes and a unique landscape of Serra de Sintra. Praia Grande: Beach that is well exposed and the swell here comes with great force. 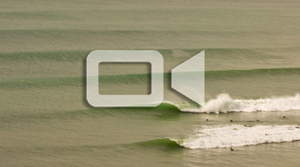 Caparica: One of the largest surf areas in Portugal. Fun beach break with miles and miles of km. Praia de S. Joao and Praia do Castelo: Two beaches southward to Tejo river, where you can spot excellent surf conditions all year long. This privilege area that specifies as LISBON, CASCAIS, SINTRA and COSTA CAPARICA, unique in nature, gastronomy and cultural spots, gives the opportunity to enjoy a great surf conditions. SURFINN © 24-04-2019 04:19:04. ALL RIGHTS RESERVED.